Constellation Brands (NYSE:STZ) wasn't always a household name among investors. Even with high-profile holdings in the beer and spirits world, including brands like Corona and Modelo, Constellation largely took a back seat to other players in the alcohol industry. Yet Constellation's big claim to fame recently was its early decision to invest heavily in cannabis pioneer Canopy Growth (NYSE:CGC), and outgoing Constellation CEO Rob Sands has worked hard in his efforts to make marijuana a key part of the beer and spirits maker's overall growth strategy. Recently, Sands and incoming CEO Bill Newlands, who'll take over Sands' role on March 1, talked with investors about their vision for Constellation's future. 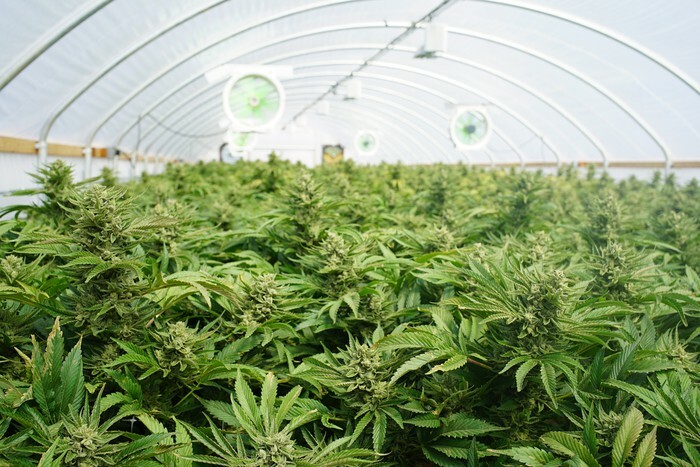 Canopy Growth will play a huge role in that vision, and their insight provides some valuable information for cannabis investors to use in assessing not only Canopy but other players in the budding industry. Canopy Growth is committed to achieving their CA$1 billion revenue run rate target within the next 18 months. 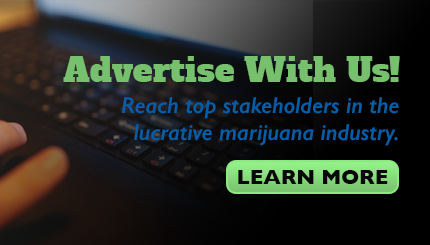 One challenge that cannabis companies have had is ramping up their production and sales capacities quickly enough to take advantage of new opportunities in the marijuana market. In particular, as we'll see in more detail below, opening of the Canadian market to recreational cannabis sales has been a huge growth driver for the worldwide industry, but it's introduced challenges involved in logistics, regulatory compliance, and simply meeting the incredible demand among consumers getting their first chance to purchase products legally. The benefit of having Constellation on its side is that Canopy can get valuable advice and support to grow its capacity quickly, and Newlands is optimistic that the cannabis company is on the right track to maintain its leadership role. We are seeing strong consumer demand in the Canadian recreational cannabis market. According to the Canadian government, as of the third quarter of calendar 2018, Canadians spent at a run rate of almost $6 billion on cannabis products, the majority of which were purchased illegally for nonmedical use. As we've discussed, we believe the emerging cannabis space represents one of the most significant global growth opportunities of the next decade, and frankly, our lifetime. Canada's recreational pot market just opened up in October, but already, the excitement that the move has generated in the Great White North has been a great indicator of how much pent-up demand there is among consumers. Extrapolating that excitement to other international markets makes a lot of sense, and given Constellation's global scope, it can help Canopy make inroads in areas that other cannabis companies would find difficult. The 2018 U.S. Farm Bill was recently passed, with one of the key components of the legislation being legalizing production of industrial hemp, including CBD, a nonpsychoactive cannabis compound that is believed to have significant medical benefits. ... Canopy Growth provides a single platform for Constellation to address all global markets and product formats, including both CBD and THC. They announced in a press release earlier this week their position and advantages relating to the U.S. market entry for CBD products, and they are currently awaiting FDA guidelines pertaining to the sale of these products in the U.S.
As lucrative as Canada will be for Canopy, the real jewel of the cannabis world is the U.S. market, and Canopy was quick to move after the recent legalization of hemp in the U.S. Farm Bill. The hemp production facility in upstate New York, in which it recently invested $150 million, is located conveniently close to Canopy's existing production facilities just across the border in Ontario, and Constellation has complete confidence that Canopy can navigate the regulatory waters quickly to make the most of the new opportunity. Our Canopy investment is like a venture investment, which positions us to use our capabilities in building brands in a regulated industry to take advantage of the legitimization of an emerging $200 billion global industry. It's important for Constellation shareholders to remember that the spirits company is treating its role with Canopy as an investment, but it's also one in which Constellation intends to be an active investor. With its huge existing position and the likelihood that it will exercise its warrants to purchase more shares of Canopy by 2021, Constellation has every incentive to help the global marijuana market grow to its full potential. I'd like to mention that my brother Richard and I recently acquired in excess of 1 million shares to take advantage of the tremendous value that Constellation's stock currently represents. Sands might be turning over the reins to Newlands, but he's still confident in the business his family turned into an empire. After hitting new highs early in 2018, Constellation's shares have seen a significant pullback, and some investors fear that its core beer and spirits business could see continuing struggles in the near future. Yet Sands is confident about the role that Canopy will play in Constellation's overall growth strategy, and that bodes well for those who prefer the more conservative route of investing in the established Constellation rather than the upstart Canopy Growth. Constellation was a groundbreaker in the cannabis industry, and Canopy Growth has made big moves to capitalize on its opportunities. Together, Constellation and Canopy have a lot of promise when it comes to tapping into the growing marijuana market as it expands worldwide.